It&apos;s Fall, y&apos;all! It&apos;s my favorite time of the year--sweater weather, fall candles, Thanksgiving...and HALLOWEEN! Halloween is hands down my favorite holiday, and I am so lucky that Baton Rouge celebrates it in such a big way! 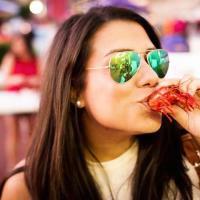 There are tons of things to do and see in Baton Rouge when it comes to Halloween. After all, Baton Rouge is known to have a ghost or two roaming around. Throughout the next few weeks we will be keeping you posted on everything Halloween, so let&apos;s kick it off with two of my favorites: the Baton Rouge Halloween Parade and The 13th Gate! As the Capital City of Louisiana, the state that knows how to throw a parade or festival for anything, Baton Rouge is no exception to that rule! If you&apos;ve never had the chance to experience Mardi Gras or a parade before, the Halloween Parade is a great place to "let the good times roll!" I walked in the parade last year and it was a blast. Both the crowd and parade riders were dressed in their Halloween best, and the parade is family-friendly, so the more, the merrier! 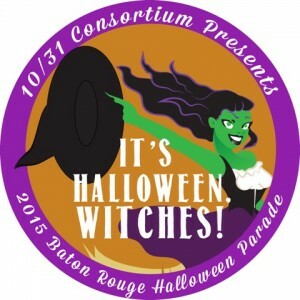 This year&apos;s parade theme is "It&apos;s Halloween, Witches!" and will embody a classic Halloween theme. The parade rolls on October 31 at 2 PM. One of America&apos;s top rated haunted attractions, The 13th Gate, invites fear-lovers to the haunting of their lives with over 100 professional actors, 12 special effects makeup and airbrush artists and many costume specialists working together to bring the terrifying show to life each night. Through the first weekend in November, The 13th Gate is opening its haunted doors! In addition to The 13th Gate, be sure to also check out Necropolis 13, which debuted last year. Necropolis 13 takes you through a 40,000 Sq. Ft., zombie-infested cemetery..don&apos;t you want to just try it out? Stay tuned for more Baton Rouge Halloween information! Have a very happy Fall!